What is the difference between an anti-hero and a frustrated idealist? That’s a little vague, is it not? I think of the anti-hero as possessing an unconscious quality. At bottom he is deeply pragmatic, which precludes any deeper considerations of right and wrong. The frustrated idealist, conversely, is someone who has made the conscious choice to do wrong (for its own sake). Morality is central to his outlook; thus, his choices are said to be immoral, as distinguished from the merely amoral choices of the anti-hero. The frustrated idealist exists inside society, as opposed to the anti-hero, whose unconcern allows him to float above consequences. Some of this may be my own peculiar outlook. In writing my own character, it felt necessary to distinguish the blithe opportunist of Lermontov’s A Hero of Our Times from an anguished Raskolnikov; the picaresque from the tragic. I wasn’t smuggling drugs just for the money. Or entirely for the experience. But, partly, out of a sense of injustice, and a deeply misdirected desire for revenge…. Most TV anti-heroes, lacking any real awareness of their calumny, fall into the former category of anti-hero. Tony Soprano is just a family guy, finally. Dexter is able to adapt his impulses to a very Aristotilean “code.” And Heisenberg seems to view his predicament not so much in moral terms, but as a logical puzzle requiring one merely to figure out the order of operations. Success and failure are the primary beacons. And so the problem for me was how to portray this character who’s not likely to win a lot of sympathy points from the reader. As I explain elsewhere, the solution was to simply tell the truth, to inhabit the logic of my own actions … which still leaves some readers who expect this big apology a little out of joint. Which is okay, I think. If everybody’s happy, it’s probably a boring party. I like the cover and from the featured review not only does this story sound phenomenal but they praise the writing style of the author as well. Looking forward to reading. I wish I could complete the rafflecopter but your site never allows the Pinterest option. Neither in the form or the buttons underneath. Is this a personal choice for your blog to not associate with Pinterest or is this a glitz. This is for all posts on your blog not just this one. I know that Pinterest made some changes and that could be the cause. I enjoyed the excerpt and am very intrigued by this memoir. Interesting cover as well. Thanks for hosting this one. Thanks for all your kind comments. (Somewhere in my blog tour I have some extended thoughts about the cover: see http://www.nicholasfillmore.com/press/ Basically it came to me in pieces. 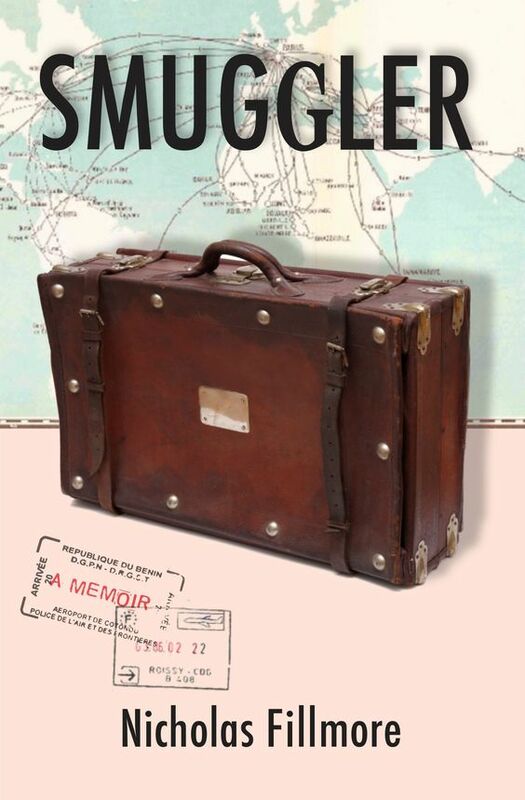 I know you're not supposed to create your own cover, but I found the suitcase image, which is kind of emotionally involving—like, pick it up, I dare ya—and the old Air France route map in the back, and at some point I was like, I got this!